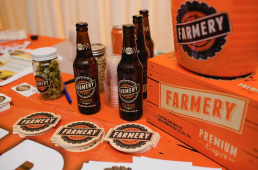 Taste, celebrate and buy local at the 4th annual #LoveLocalMB event! 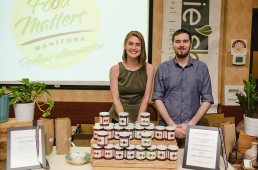 Savour some delicious delectables by a few of Manitoba’s best food and beverage artisans while enjoying a fun and relaxing evening. This St. Patrick’s Day, do as the leprechauns would do and take a tour of the province’s gold mines and awesome pubs! These mischief-makers are drawn to gold, lucky charms, rainbows and all things green, making Manitoba quite the destination for the Irish fairies. Here are our suggestions for a leprechaun’s tour of Manitoba, complete with St. Paddy’s Day pin ideas for this year’s celebrations! Think polar bears are your biggest worry out in Churchill, Manitoba? The Flats begs to differ. Or should we say Les Flats? This dark comedy, which began its run at the Prairie Theatre Exchange continues at Cercle Molière and seeks to uncover exactly what happened to the town’s doctor after he goes inexplicably missing. Join the cast as they venture out onto the edge of Hudson’s Bay and discover some of the town’s more unusual residents, its well-kept secrets, and even conjure up a few of its ghosts. Watch the skies dance and experience the culture, history and heritage of northern Manitoba at Aurora Winterfest. This annual event showcases traditional winter activities like snowshoe racing, dog mushing, snow carving, and also features local artists showcasing their skills in performances such as Aboriginal drumming, fiddling, square-dancing and jigging. Other events include aSnow Put Hunt, fireworks, Guitar Hero Challenge and a Lundie/Spence hockey social. Bittergirl: The Musical begs the question: How do you get over getting dumped? Whether you’ve been dumped or been the dumper, Bittergirl tells the achingly familiar tale of the bond formed between three women who have all been ditched by their dream man. Enjoy some toe-tapping, smile-inducing music this week at the Brandon Jazz Festival! Originating in 1983, the festival is an educational forum where young musicians perform and receive feedback on their playing and singing from top professional musicians as well as educators from across Canada and the United States. What forces are shaping the future of our natural resources? The Watershed investigates just that as a Montreal theatre artist leads her family on a cross-country journey in a highly political time, encountering freshwater scientists, government officials and activists along the way. Legacies of Confederation at the Manitoba Museum explores the reactions of Red River residents when their homeland was purchased by Canada. While Manitoba was not yet a province in 1867, the effects of Confederation were momentous. See iconic artifacts from times past including the seldom seen walking stick used by Louis Riel and a Treaty document dating to 1875. Let your imagination run wild at Baobab, an extraordinary performance that blends African music with puppetry, drums, song and incredible shadow theatre. The stunning West African legend celebrates the joy of passing down traditions from one generation to the next. 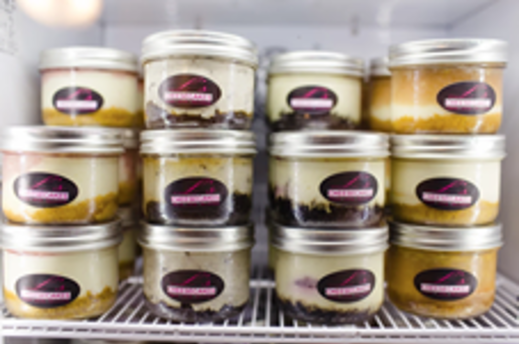 Think you know acrobatics? Think again. The Peking Acrobats have redefined the art of acrobatics with daring maneuvers of trick-cycling, precision tumbling, juggling, somersaulting and gymnastics, pushing the limits of gravity, contortion and human ability. What’s lurking at the far north end of Taché? A massive ice wall, that’s what! 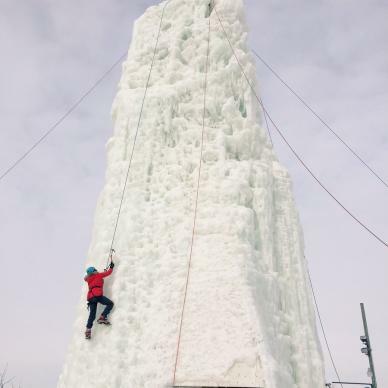 Located in Winnipeg’s French Quarter, the Club d’escalade de Saint-Boniface will help you reach new heights that aren’t all too common in our province. 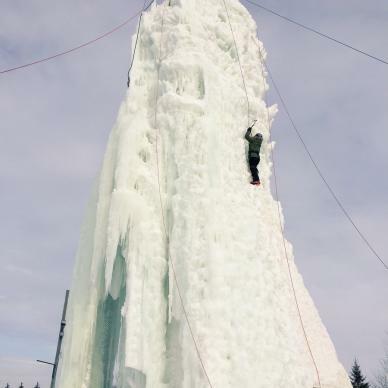 The 3-sided ice tower offers a variety of ice climbing with different degrees of difficulty and is open every Saturday and Sunday between 9:30 am and 4:00 pm for drop ins. Equipment is available free of charge! Ready? Set? Plunge! The 6th Annual “Freezin” for a Reason (in support of KidSport) challenges participants to jump into the frigid Manitoba water – and yes, costumes are encouraged. Will you take the polar bear dare? Contemporary art and sound come to a head at Cluster, one of Canada’s most dynamic festivals of the arts. Artists gather at Cluster: New Music and Integrated Arts Festival to create, experiment and collaborate with the energy of converging artistic communities. Venues around Winnipeg host sonic experiences that will strike audiences in the heart and mind. It was during the romantic age of flight when women began to spread their wings and take to the sky. But the freedom women found in flight was not unlimited, as they could not yet make it a career. It took women pioneers of aviation more than 50 years to push open all of the career cockpit doors. Head to the Royal Aviation Museum of Western Canada to discover the first women who flew in war and those who even blasted off beyond our planet Earth. Comedy and classical music CAN mix! The legendary Second City comedy theatre is teaming up with the Winnipeg Symphony Orchestra for a hit show filled with sketch comedy, satire, songs and amazing classical music. Be warned: Nothing is safe or sacred in this hilarious performance.